Professor Andrew Hopkins, of the College of Life Sciences at the University of Dundee, has been named Commercial Innovator of the Year at the BBSRC (Biotechnology and Biological Sciences Research Council) 2015 Innovator of the Year Awards. 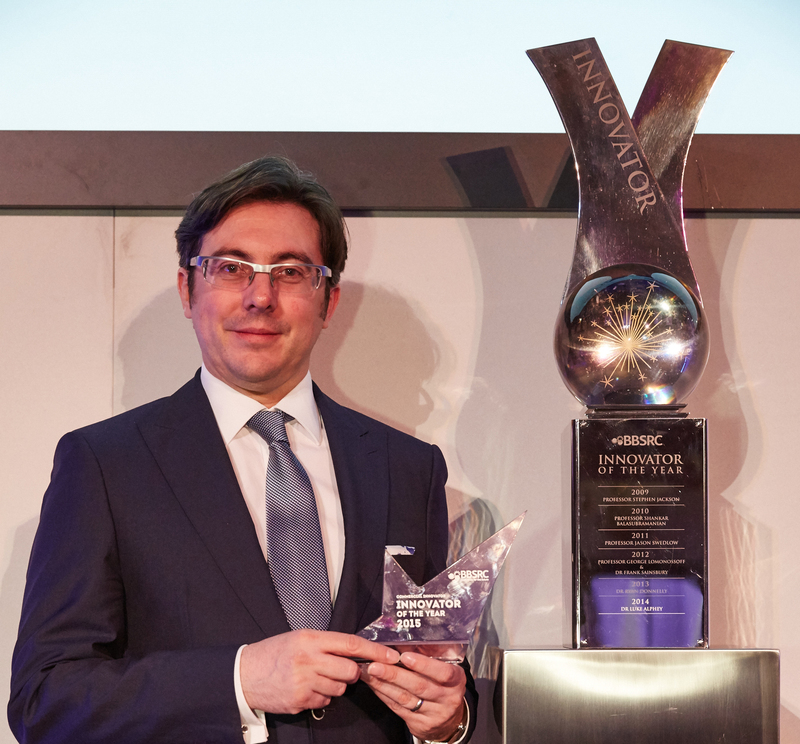 Professor Hopkins won the award at a ceremony in London last night (March 31st). He was nominated for his pioneering work in algorithmic drug design. Andrew is the founder and CEO of ex scientia, a University of Dundee spin-out company which is pioneering medicines tailored to polypharmacology for a wide range of human diseases where improved efficacy is required. He is also Director of SULSA (Scottish Universities Life Sciences Alliance) and Chair of Medicinal Informatics at the University of Dundee. The BBSRC award makes it a hat-trick for Professor Hopkins. Earlier this year he won the Scottish Enterprise award for Life Sciences Entrepreneurial Business Leadership, and in 2014 Ex scientia was named Young Business of the Year at the Courier Business Awards. Overall, Andrew has raised a total of £30 million for research activities – both academic and commercial - in Scotland in the past two years. As an entrepreneur, Andrew has created two commercial companies - ex scientia Ltd and Kinetic Discovery Ltd. Biological Sciences research at Dundee was rated top among universities in the UK in the 2014 Research Excellence Framework. The REF is the main test of research quality carried out by higher education funding bodies. The University is the central hub for a multi-million pound biotechnology sector in the east of Scotland, which now accounts for 16 per cent of the local economy. With more than 900 scientists, research students and support staff from 62 countries and external funding in excess of £50million per annum, the College of Life Sciences is one of the largest and most productive Life Sciences research institutes in Europe. The BBSRC award brings Professor Hopkins £15,000 to support research, training or other activities promoting economic or social impact. The finalists were judged by an expert independent panel. The judges looked to recognise those innovators who have worked the hardest and gone the furthest to take their science out of the lab to deliver impact.